One skein crochet patterns will always be my favorite. With busy kids and a busy schedule it is just so much easier to pick up and put down a one skein project. The Snow Drops Mod Scarf is a modern one skein triangle scarf that highlights the stunning texture of the star stitch. 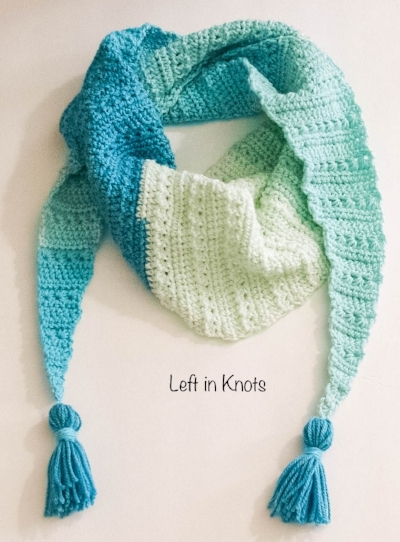 You can make this scarf with just one skein of Caron Cakes yarn or with any worsted weight yarn you have in your stash. Keep reading for the free crochet pattern. When I first published this pattern it was one of my first scarf patterns on my blog. I now have A LOT more (see them here). But this one will always be one of my favorites for many reasons. It was the start of my whole Snow Drops pattern collection, and over all these years it has remained one of the most popular free crochet patterns on my blog. 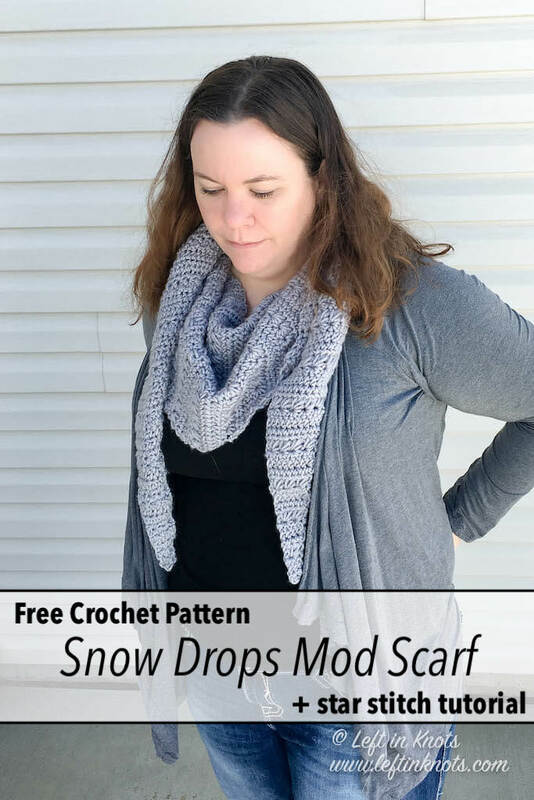 This year, to celebrate my blog anniversary, I decided to crochet another Snow Drops Mod Scarf so that I could take some new pictures and also try making it in a solid color. The original Snow Drops Mod Scarf was made with Caron Cakes. I still have it. I still wear it. I still love it! 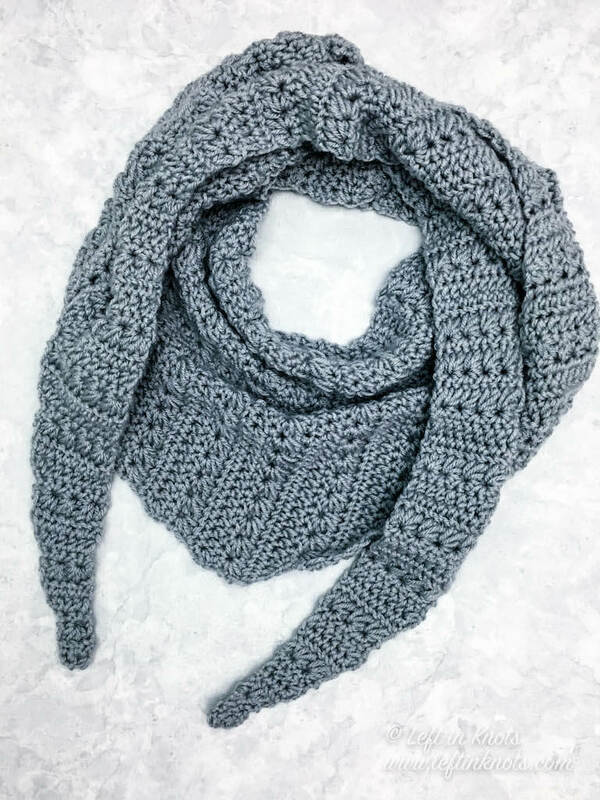 So many of you have shown me your finished scarves in solid colors that I decided I wanted a solid, neutral version for myself as well. In both versions, the texture of the star stitch shines (pun intended just a little bit). 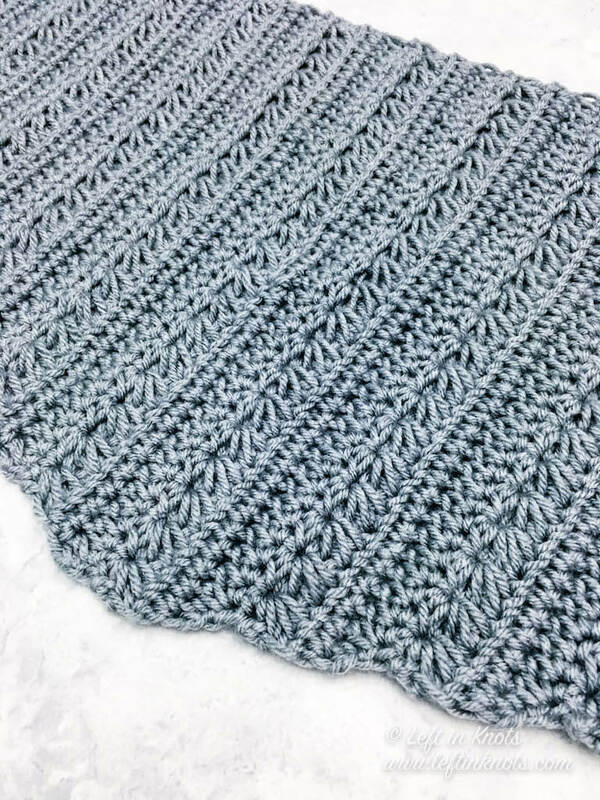 Once you get the hang of the star stitch (with the video tutorial included below) this pattern works up quickly with a 4 row repeat. This pattern is easy enough for an advanced beginner looking to learn a new stitch. And after you master the star stitch, you’ll probably want to make some matching pieces for yourself. 1 skein of Caron Cakes 'Faerie Cake' yarn or appox. 380 yards of a category 4 worsted weight yarn. First start stitch of a row: Ch 2, Insert hook into back loop of the second ch from the hook and pull up a loop (2 LOH), insert hook into front loop of the same ch stitch and pull up a loop (3 LOH), insert into the next 3 sts and pull up a loop through each one (6 LOH). YO and pull through all 6 loops, ch 1 to make the "eye" of the star. Increases and decreases will all happen on the the same side of the scarf. This will create the triangular shape. Rows 11-86: Repeat rows 7-10. Row 95-178: Repeat rows 91-94. Row 178 with end with 2 HDC across. Make your tassels (pom poms would also look great!) and attach them to each end of the scarf. And VOILA! You have a modern and adorable winter scarf.